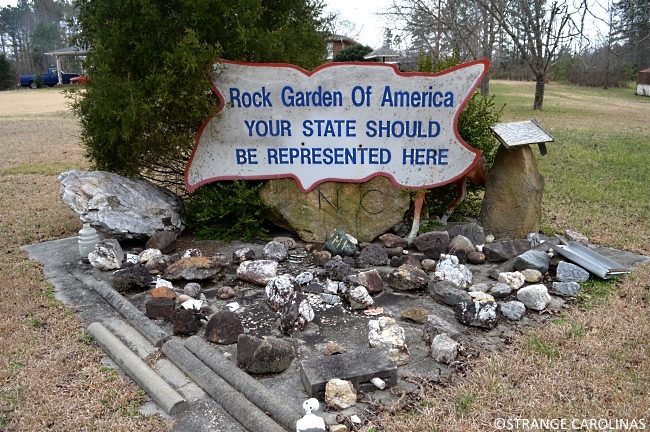 The Rock Garden Of America puzzles me. Is there really some guy in New Mexico, sitting in his recliner and watching TV, with a beer in one hand and a rock that he personally spray painted the letters N and M on in the other hand? I can see him eventually passing out in his chair, sometime during the weather forecast on the 11:00 news, but not before muttering to himself, "Someday... 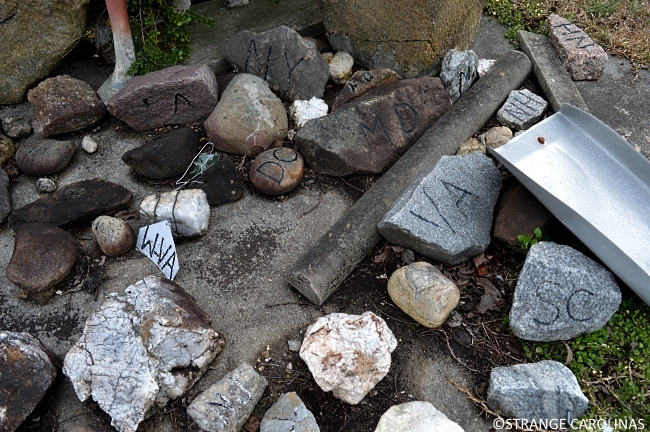 Someday, I'm going to make it to North Carolina and put my rock in the Rock Garden Of America!"